As The East Light’s abuse scandal has gotten messier and messier, one constant that all sides seem to have agreed on is that producer Moon Young Il did abuse the brothers Lee Seok Cheol and Lee Seung Hyun. Recently that violence was admitted in court, as the producer plead guilty to chronic and special violence charges. 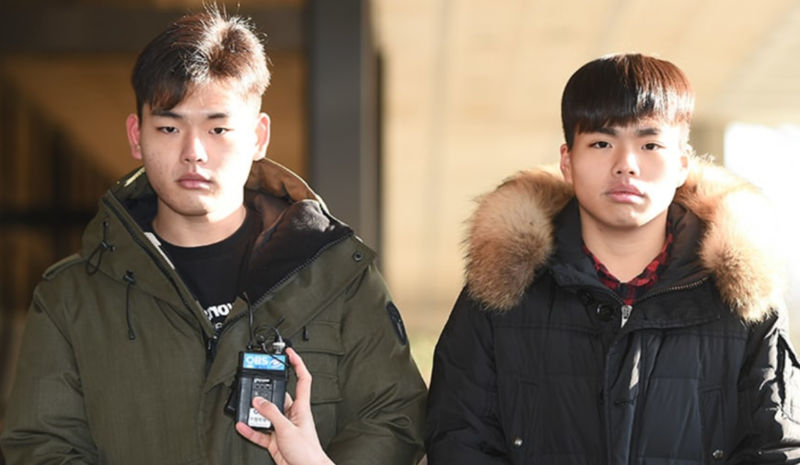 At the trial, the prosecution stated that producer Moon Young Il had physically harmed former The East Light members Lee Seok Chul and Lee Seung Hyun in 31 instances and mentally abused them. The prosecution also said that CEO Kim Chang Hwan had offered electronic cigarettes to Lee Seok Chul, who was a minor at that time, physically abused him, and aided and abetted producer Moon Young Il’s violence. The producer tries to justify his actions by explaining that he was close with them despite abusing them at least 31 times physically, in addition to whatever mental torment he inflicted. Surely that’s just an attempt to get the leniency in sentencing, as it’s ridiculous that anybody would buy that explanation. As was alluded to in the quote, Moon Young Il wasn’t the only one on trial. CEO Kim Chang Hwan is charged with child abuse and aiding in abuse, while President Lee Jung Hyun is charged with violation of the Child Welfare Law. The two Media Line Entertainment executives continued to deny wrongdoing, this time in court. CEO Kim Chang Hwan and president Lee Jung Hyun denied the charges saying that they had not engaged in, aided, or abetted child abuse. Instead, they stated that they had protected the victims. They also disagreed with the use of testimonies made by six people including Lee Seok Chul, Lee Seung Hyun, and their parents at investigation offices. As a result, the prosecution made the decision to summon Lee Seok Chul and Lee Seung Hyun to the court as witnesses. The brothers are also suing the producer, CEO, and President, as well as former group members Lee Eun Sung and Jung Sa Gang for their involvement in the company press conference. While we don’t actually know much about the company’s involvement in concrete terms, to me it requires a certain suspension of reality in order to think that the producer of a group under the company was involved in dozens of instances of abuse against the brothers and neither the CEO nor the President had any idea this was going on. That said, whether that can be proved in court is something different entirely.